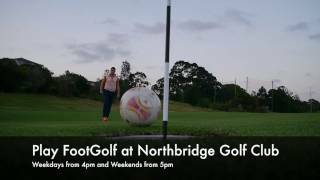 Play FootGolf at Northbridge Golf Club every day from 3pm. 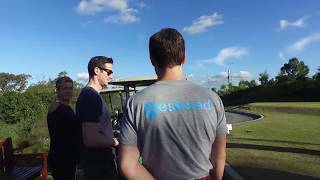 FootGolf is a fun sport to spend time playing with family and friends. The sport is so easy to play that anyone over the age of eight can enjoy. The objective of the game is to introduce a soccer ball in a series of holes using the least possible number of kicks. This nine-hole course brings lots of excitement, making you choose to go over or around water hazards and bunkers. Slopes also add to the fun. Family members not playing can still enjoy the views and walks around the course. After the FootGolf round you can relax at the club house having a refreshment while you enjoy harbour views. Kids and adults will get playing tips from experienced FootGolf players.